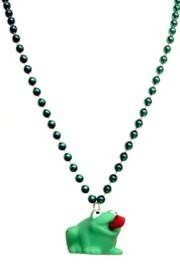 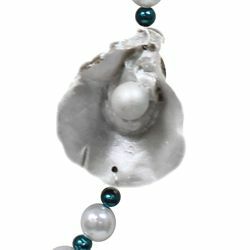 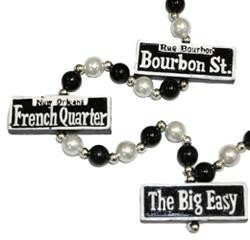 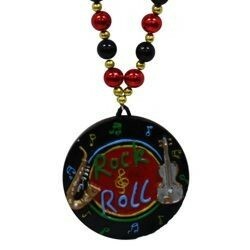 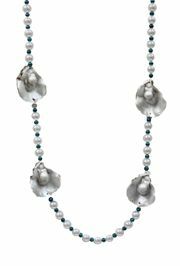 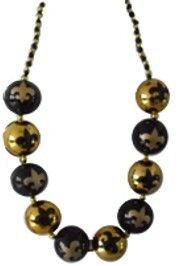 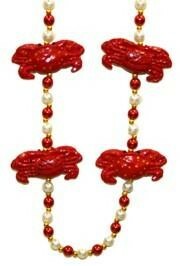 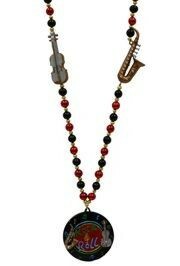 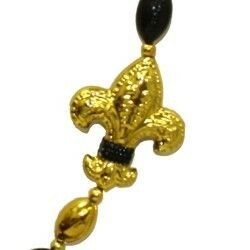 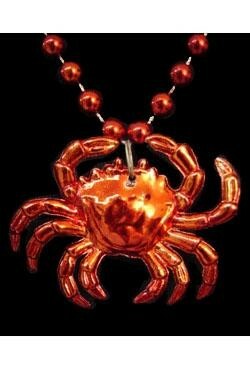 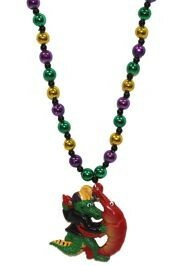 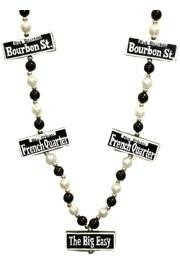 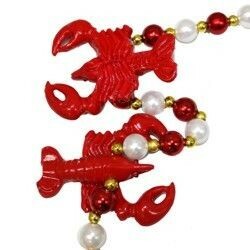 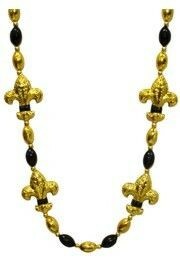 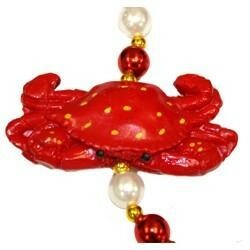 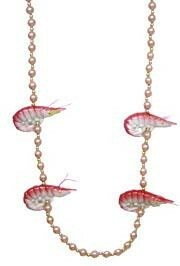 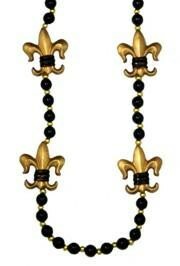 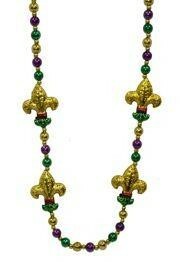 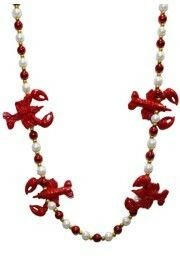 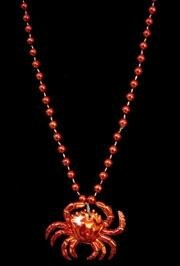 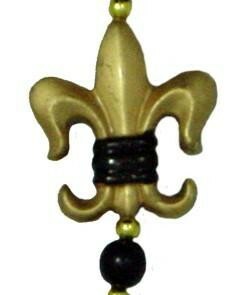 Creole beads are great for Mardi Gras and remembering Louisiana. 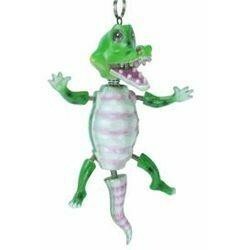 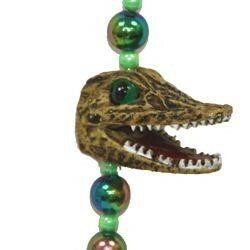 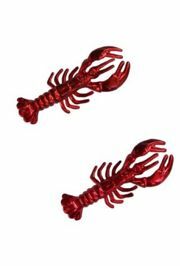 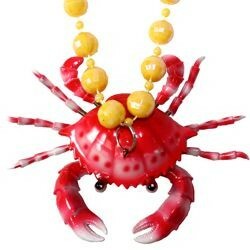 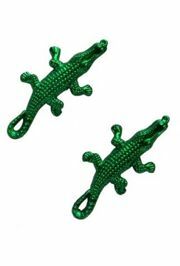 Whether you want to own a piece of Cajun country with Creole souvenirs or are celebrating Mardi Gras Cajun style in New Orleans or elsewhere, our selection of beads and novelty items featuring Louisiana themes like seafood and alligators are sure to make you feel at home. 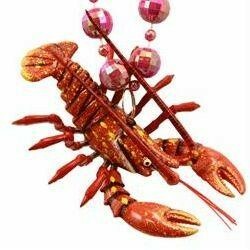 |< << 1 2 >> >| Displaying 1 to 20 of 39 Items Found. 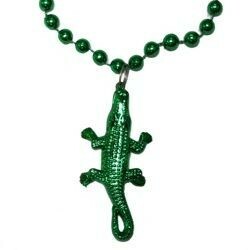 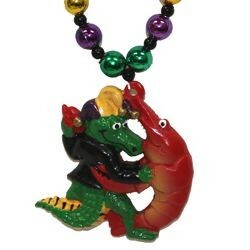 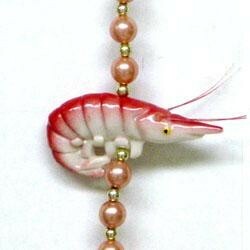 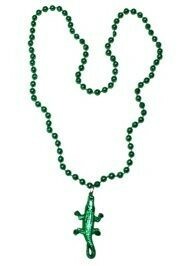 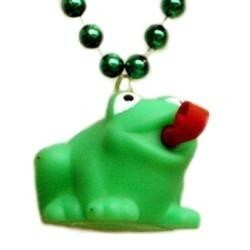 The medallion on this bead depicts an alligator and crawfish dancing. 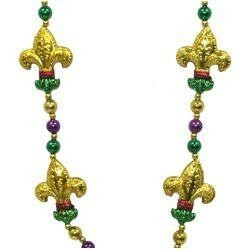 It makes a perfect Mardi Gras throw bead with the traditional green, gold, and purple beads. 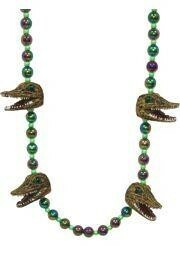 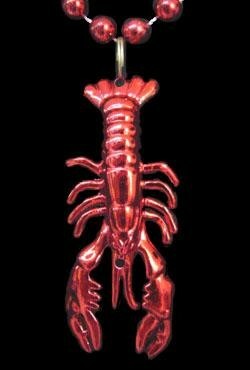 It's a great decoration for Cajun themed parties as well.